Jack Ma, the Chinese billionaire and founder of Alibaba, spoke out about world economics with a focus on the defense spending laden tendencies of U S politicians spending. Ma spoke among other international "money leaders and industrialist at a recent economic conference. 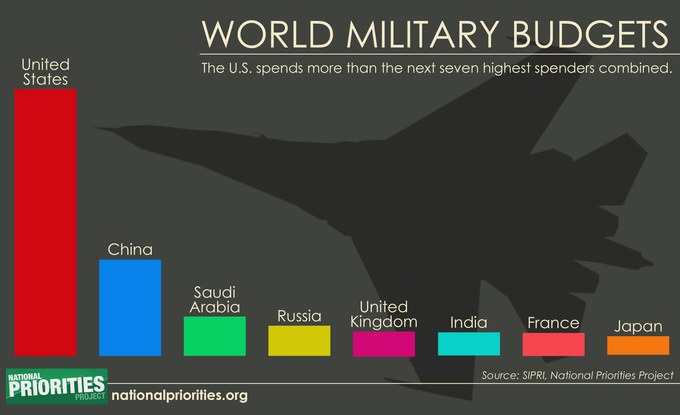 Despite conservative, GOP and Donald Trump's rhetoric about the fledgling US military (and all associated matters) the US is without question spend more than a collective seven of the top international defense spenders. Th graphic does not include a Y" Axis with descriptive spending level, but it clearly shows how U.S. military spending dwarfs the budget of China, the #2 country among world defense spending leaders. Take a look at a chart from 2014. The chart offers "Y" Axis details relevant to the topic: expenditures in billions. If you want a revealing "Y" Axis, the next chart shows 2014 spending. National Priorities provides even more stark evidence of defense spending overkill. Before we proceed, you may find value in the differentiation between Mandatory Spending and Discretionary Spending: Federal Budget 101. In the fiscal year 2015, military spending is projected to account for 54 percent of all federal discretionary spending, a total of $598.5 billion. Military spending includes all regular activities of the Department of Defense; war spending; nuclear weapons spending; international military assistance; and another Pentagon-related spending. Mandatory spending does not include infrastructure expenditures. It seems the Chinese billionaire is point-on in his criticism of what was once a great economic power. You may have noticed something a bit different regarding "Transportation" Spending. Did you notice some transportation (Infrastructure) expenses were proposed in the Mandatory Budget (as well as in the discretionary Budget)? A quick search doesn't show Obama was at all successful at inserting infrastructure Transportation Spending in the 2016 Federal Budget. Donald Trump and Paul Ryan have both stated a need to increase defense spending. How ridiculous are Republicans? Defense Spending, Foreign Aid, Human Services, Tax Rates, And "World Police Force"
When I started keyboarding here, my intent was to look closely at defense spending and foreign aid in relation to Human Services Mandatory Spending. We all know, despite our reticence, Mandatory Spending must be trimmed, modified or adjusted in some way. With acknowledgement of the need to adjust mandatory programs, I will admit to amazement at the graphic above which depicts FY2011 Defense Spending in relation to US Foreign Aid (spending). Since, I am offering admissions, allow me to also admit the chart is a bit misleading. My overall point in writing here is related to GOP efforts to slash and burn any program outside Defense while refusing to tackle our deficit and budget issues via increasing revenue. All said, the stark and obsessive reality of 58% of the nation's Discretionary Spending on defense is pure overkill, hierarchically convenient (for military brass) and 'turfdom' for congressional (members). With aforementioned recognition of a growing (baby boomer) problem with Medicare as part of Mandatory Spending, I continue to wonder why cuts in defense spending and increase in revenue should not offset the need to slash Medicare. Even raising the Medicare eligibility age seems a slap against the nation's middle class and lower income strata. It just does not seem a balanced approach and the majority of pooled respondents indicate a preference for a balanced approach to deficit issues. Since we started this webpage, our commitment to, comment about, and tracking of how we spend as a nation has been consistent. 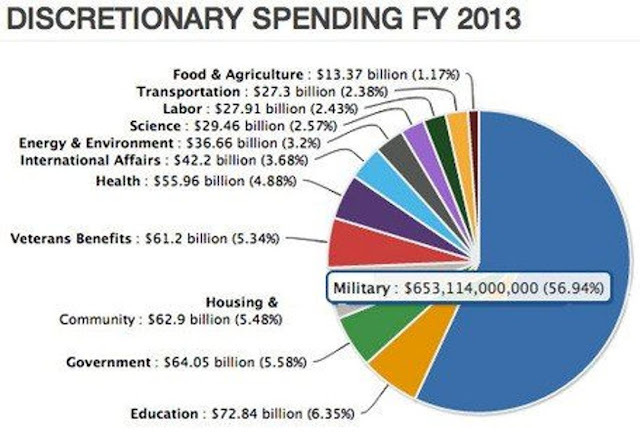 We continue to receive graphic representations of "spending." One of the most prevalent area of social media graphic representation these days are defense spending and and in some cases aid to foreign nations. A few closing points or questions. When will rational minds devote more attention to defense spending? Even the crafty wire-brains in North Korea and Iran, know full well any attack on this nation would lead to releasing a form of extinction certain to render them dead. Other countries will not take up arms against the largest consumer market on Earth. I think this is especially true of China and Russia. As Rachel Maddow and others have posited, "we spend billions on 1950s weapons system." The real threat is far less costly and has a major anchor in cyber systems. Other than in South Korea and possibly Japan, due to North Korea, how necessary is our presence in worldwide presence as illustrated below. The United States employees around 81,425 local foreigners across the World. All data considered and the case made for need to 'make adjustments' to certain human services programs, there is something wrong with rhetoric such as, "We cannot cut defense spending." Since this screed has a greater context of deficit spending and the US National Budget, the graphics above are hard to 'swallow' without some attention to people who are paying taxes at rates that contribute to the nations economic collapse in 2007/2008. If we are going to continue with over half the nations discretionary spending devoted to what amounts to a world police force, why not have people who stand to lose more (and can afford more), pay more in taxes? The question is based in a very basic form of deductive reasoning, but validate question. Connect The DotsUSA and Federal Spending. How can we have an intelligent debate about cutting spending when most folks have no idea how the federal budget breaks down? So here’s the 2011 federal budget all in one beautiful pie chart. If you master this, you’ll understand way more than most. The "fiscal year" actually begins October 1st of the year preceding, so we are already three months into fiscal year (FY) 2013. Because Congress and the President cannot agree on a full-year budget, we kept the government open in 2012 using a series of Continuing Resolutions (aka CRs), which are temporary agreements to continue spending at existing levels. The current Continuing Resolution expires on March 27, 2013. Hence, the looming danger that Teapublicans will use the occasion to shut down the government. Total spending in 2011 was approximately $3.6 Trillion, so each 1% sliver equals about $36 Billion or $36,000 Million. Total spending in 2012 was down a little to $3.5 Trillion. Everything in red is Mandatory spending, meaning it is dictated by existing law or interest rates and very difficult to change without a battle royale. This makes up about 2/3 of the entire budget and includes Social Security 20%, Medicare 13%, Medicaid 8%, other Safety Net programs 10% and Interest on the long-term debt 6%. Note that Social Security and Medicare are SPECIAL because they have dedicated revenue streams through the payroll tax. Social Security is 100% funded through its 12.4% payroll tax and trust fund. Medicare is only 37% funded through its 2.9% payroll tax (specifically for the Part A hospital portion only) and another 13% funded through enrollee premiums for Part B and Part D. Nearly half of Medicare's funding comes from general tax revenues, so Medicare is only 50% an "earned benefit." More to come on that in a future graphic. Everything in yellow is Discretionary spending, which is hammered out each year between Congress and the President. What I found most surprising is that almost all Military spending ($718 Billion), including the two wars, is negotiated each year. And it makes up more than half of our Discretionary spending. 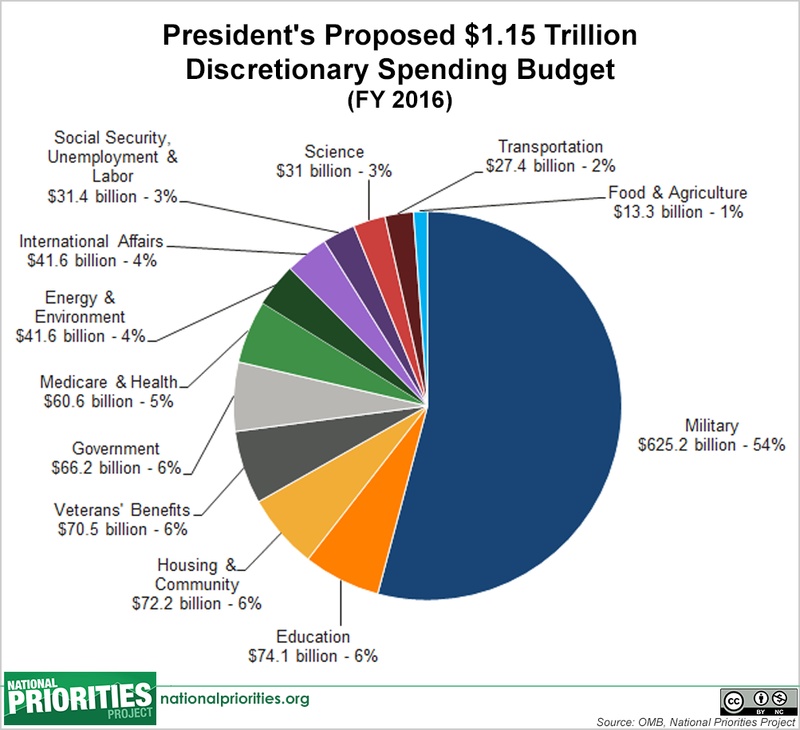 That leaves only about 14% of the entire budget — the little bitty 1% and 2% slivers in the lower right — that are “non-defense discretionary” spending. It includes important investments like Education, Environment & Science and Transportation. And that's where Teapublicans love to hack away because they count on you not knowing what's included in "non-defense, discretionary spending." Note that Foreign Humanitarian Aid is only about 1% of the budget. In a recent poll, most people mistakenly believe it is a whopping 27% and that just eliminating aid to places like Haiti will solve our budget problems. Discretionary Spending Forecast for FY 2013. The chart above shows Discretionary spending as 36 % of federal spending. I like to look deeper at how US Discretionary spending breaks-out. 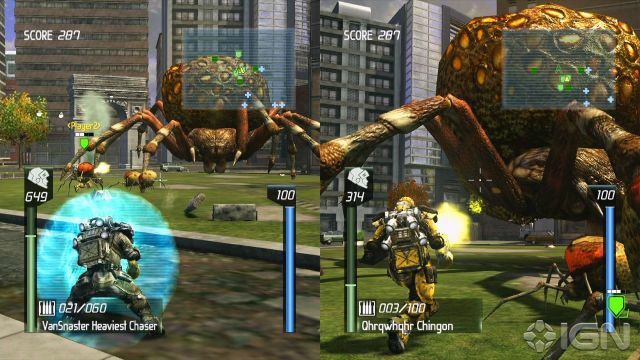 ...all said, I suppose the US is prepared for the invasion of the Insects. Why did I not realize the need for such obscene defense suspending! If you visit from time to time or are linked via email notifications, you know we have long posited about the obscene levels and expenditures on Defense Spending. Defense spending in the US is an untouchable Goliath that consumes 58 % of 2013 (Budget) Discretionary Spending. Wile we realize consistent readers know discretionary spending, allow a moment for clarity and differentiation. What is "discretionary spending"? What is the definition of the term "discretionary spending"? 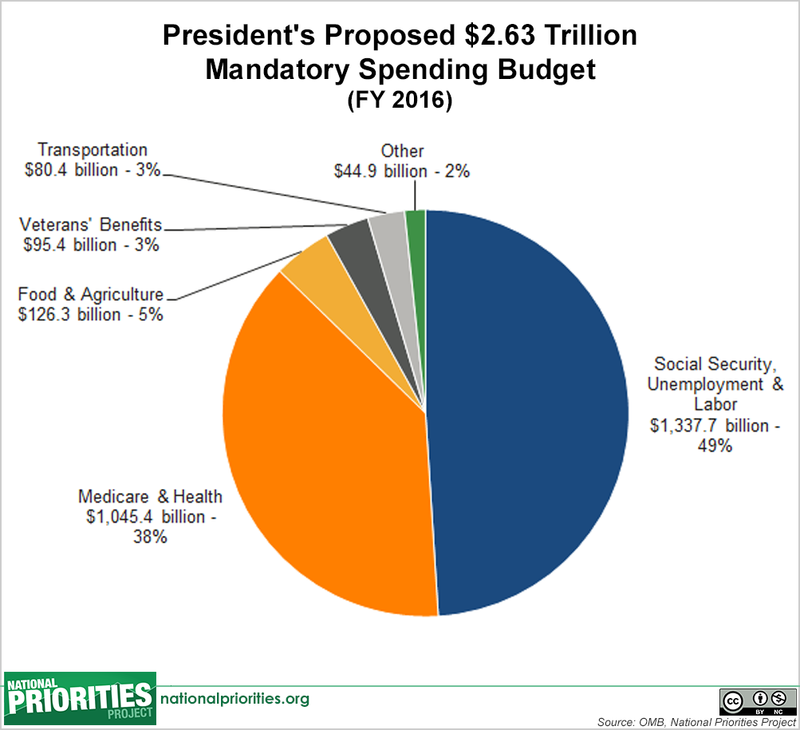 "Discretionary spending" and "mandatory spending" are the two types of spending that make up the sum total US government expenditures on a yearly basis. "Mandatory spending" is spending that is automatically obligated due to previously-enacted laws. This would include things such as Social Security and the interest on the national debt. 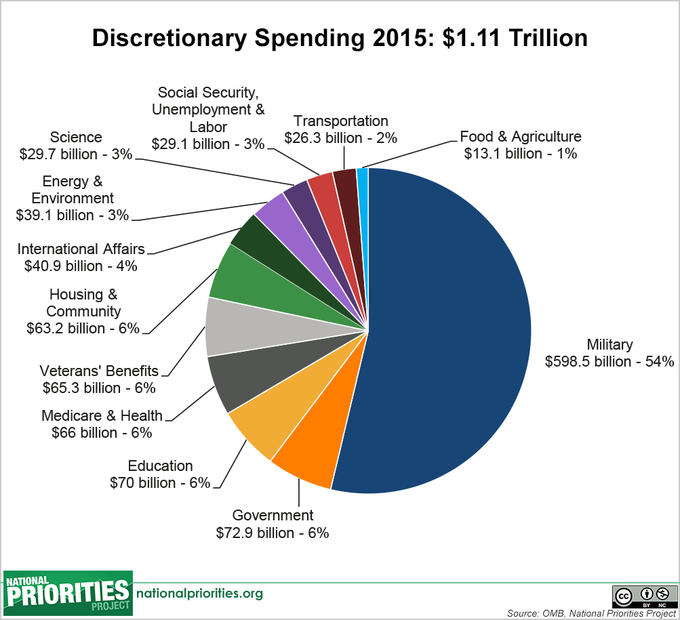 "Discretionary spending", on the other hand, consists of US government expenditures that are set on a yearly basis. This is money that members of Congress can adjust on a yearly basis. When looking to cut costs, lawmakers usually look to trimming discretionary spending. For those who are not aware or need a nasty reminder. 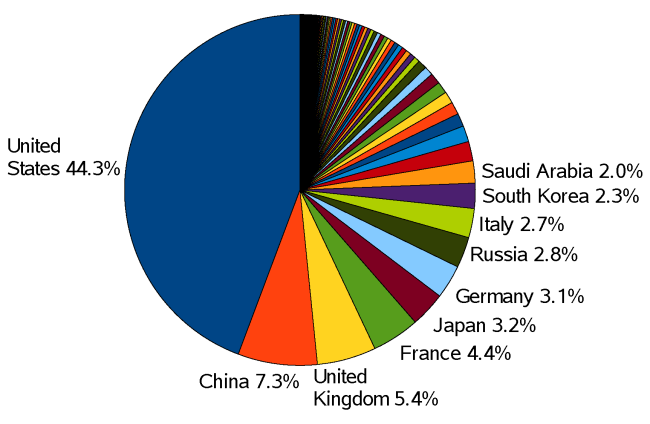 The World spends on defense. 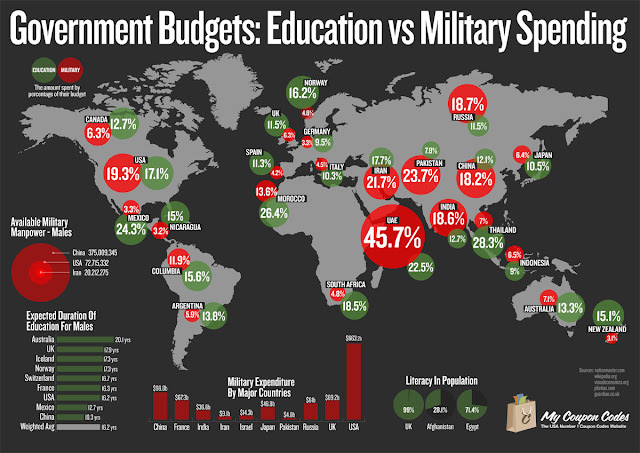 Of particular note, US allies generally spend more on education. One has to wonder why? If you also wonder why, take a look at the second pit chart above and think for a moment about why the US defense budget is so astronomically out of sync with our historic adversaries. Of course, Israel is not depicted in the graphic. Yes, you have seen it all before. 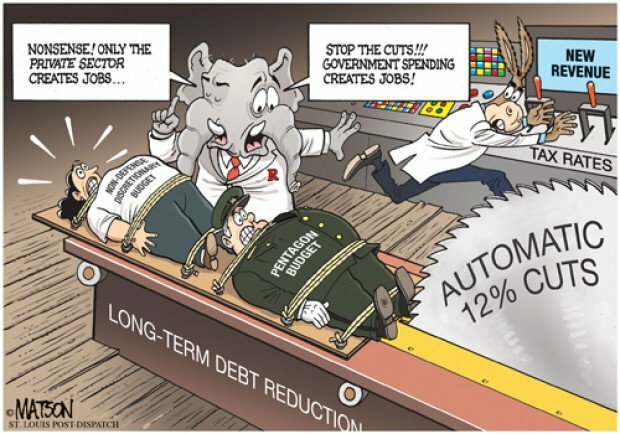 I post because of again awakening this morning to hearing yet another republican speaking about cutting spending with a focus on Human Services programs. The GOP never will consider rational defense budgets. Even rational Progressives sometime mentions "jobs" when the words defense spending hits the table. There is no sane justification nor rationalization for Defense Spending that consumes 57% to 58% (depending on source data) of the nation's discretionary spending. Only one political party serves as guardian of the 58% reality! Members of that party also consistent vote to cut services to the nation's needy. They always vote to preserve subsidies for Big Oil. And, they crave to rid the nation of the Affordable Care Act that will one day provide medical coverage for millions who do not yet have said coverage. Whenever my mind goes to this topic and in comparison the items just above, I think in terms of those who vote at the 47%level for Romney/Ryan. Are you really a Grim Ripper and do not realize such until you look really deep and ask a few questions?